"Dragonscaling!" is a tongue-in-cheek look at a future where the world's most extreme sport involves the use of genetically engineered creatures. 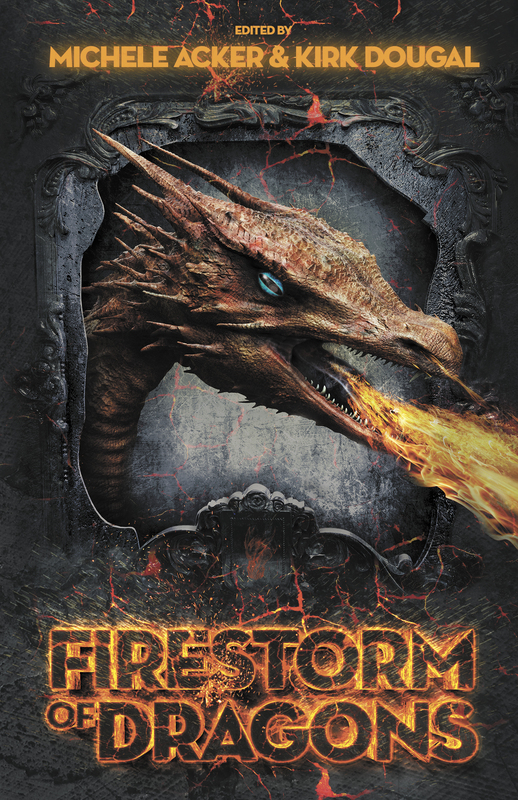 Subsequent stories deal with, among other things: dragons and high school reunions; a dragon who is a pesky door-to-door salesman; the power of devotion when lovers encounter a dragon; and a trilogy of stories depicting some possible ends of dragonkind. Michele Acker is a contributing author for The Complete Guide to Writing Fantasy Volume One: Alchemy with Words. Her articles and short stories have appeared in anthologies, online zines and newsletters. Kirk Dougal writes short stories and novels both fantasy and mainstream. He is also a newspaper columnist whose topics range from current political happenings to historical events to an award-nominated series on American soldiers.